Do Evolve developers know what women look like? 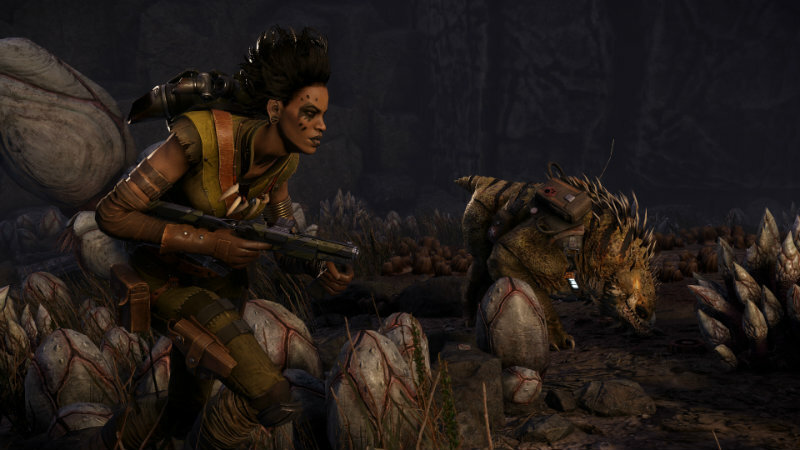 Evolve was lauded by critics (including us) prior to release. Under ideal conditions (the only ones we’re allowed at trade shows) it’s a whole lot of fun. Of course, real life isn’t ideal and the game is struggling to stay alive. 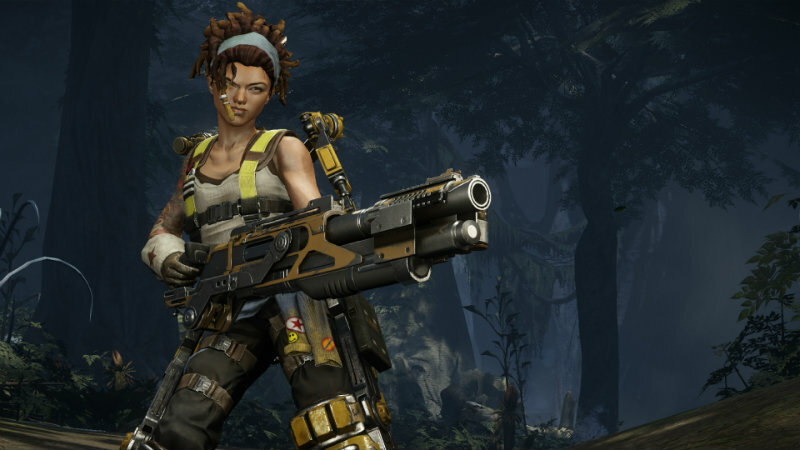 They’ve released some new DLC hunters, and the one looked much like the previous ones, highlighting just how little variety there is when it comes to the ladies of Evolve. While we never get much more backstory on the hunters than the bits we can glean during dropship conversations, the character designs for most of the hunters have been varied an interesting. Fat and thin, young and old, the male hunters show a range of body types, personal characteristics and distinct gameplay. While the ladies have the distinct gameplay and different facial models, they all start to look exactly the same. Here is the newest lady hunter for Evolve. Yes, their faces are different, as are there roles. However, their body types look rather similar. Both are slim and with strong but not overly defined arms. Even their standard poses look similar. There are two other female hunters in Evolve, Caira and Val. At least both of these medics are wearing more clothing than these other two, but their body types are still the same – slim, well-proportioned women who still show their svelte figures despite all the gear they’re carrying. When these images were revealed as part of the DLC announcement, it sparked a discussion about the look of these female characters. The first comment that always comes up is “Well, they would need to be fit to be hunters”. Hm, then I wonder what the justification is for Hyde or Markov. Both are obviously fit enough to serve as tanks (assault) for the group – why can’t we have a woman who does the same? 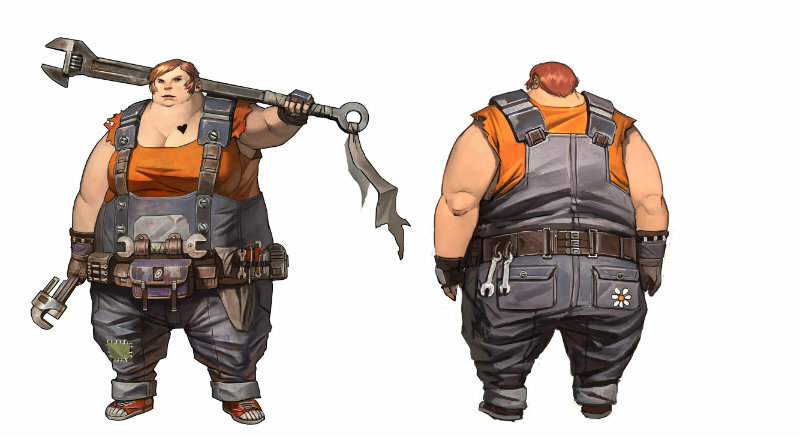 It’s not as if 2K is against this – just look at this awesome character design for Ellie from Borderlands 2. Why can’t Evolve have an assault character like that? I’d love to see a larger woman handling a massive gun and taking down the monsters. Not all women are built like stick figures – just like men, they come in all shapes and sizes, so why do all these hunters share such similar physique? I know this will probably get lumped into a “women in gaming” rant, but it’s actually more about poor design choices. 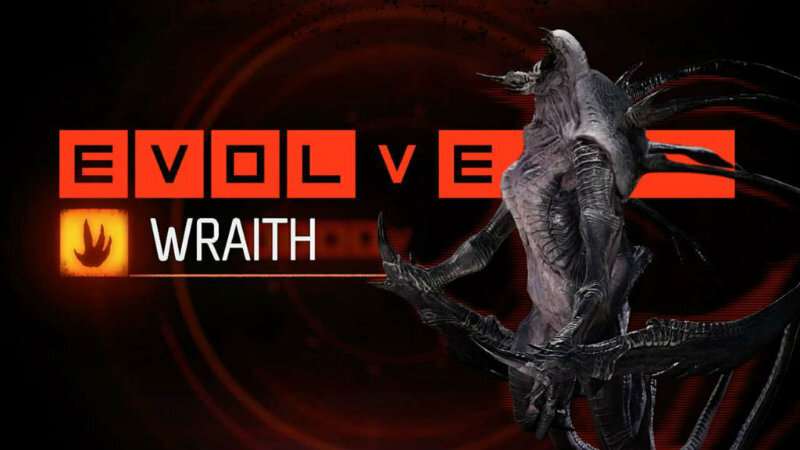 Evolve is only kept interesting because of the variety it can offer. Players can take on various roles in the team using a range of hunters (once they grind and unlock them). If the diversity of hunters is part of the allure, why can’t they allow women to be part of that range? They have robots and aliens who are distinct, why is it so difficult to make women more varied and interesting? Oh, at least they got it right on one front. The Wraith is referred to as a female monster, and she is over powered and awesome. Plus, she doesn’t have a typical female body type seeing as she is a monster. At least that one shows some cool design choice.